I traveled to Winthrop University five months after my baby was born to talk to faculty and students about women’s unique needs during disaster. I was flying with my electric breast pump, which would both save me from the horrifying pain of engorgement and allow me to avoid dumping what women’s health practitioners call “liquid gold.” I am not a “breast is best” advocate; I’m a “whatever-the-mother-wants-to-do” advocate. Women, after all, already experience a lot of pressure around what it means to be a good mother, and research shows that the discrepancies between their expectations (like breastfeeding) and their experiences (finding breastfeeding difficult, impossible, painful, frustrating, and just plain not wanting to do it) causes stress, unhappiness, feelings of failure, and affects their overall experiences of motherhood. Older women have oohed and ahhed over my pump, wishing they had something so efficient when their children were babies. Indeed, I came home from the hospital with a manual pump that was completely useless (the only pump my insurance covered), and I wondered how the generation before me didn’t chuck them in the fire just to watch them burn (yes, they are that bad). To these women, I was a “good” mother—a mother so dedicated to breastfeeding my child that I was able to bridge my work and my motherly duties. If I was going to insist on working outside of the home, they suggested, at least I was still putting my baby first. There is no short supply of family and friends who applaud mothers of infants for toting their pumps to work, and who tsk-tsk women for forgoing breastfeeding (or, ironically, for breastfeeding “too long”). The portable electric breast pump symbolizes the supposed freedom of contemporary mothers and conjures up the image of the Supermom who juggles it all seamlessly: work, family, husband. 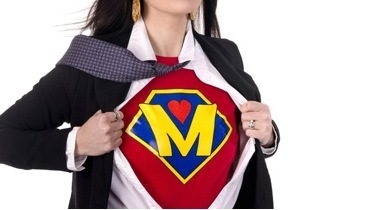 Supermom’s repertoire notably does not include self-care, which reflects the cultural conflation of motherhood with martyrdom and ignores women’s experiences of postpartum depression, anxiety, and OCD. (see also, Trina’s post on maternal mental health). What these women didn’t see, though, was me anxiously looking for space to pump while I traveled. Considering that we as a society are so quick to demand women breastfeed, the lack of such space is both curious and telling. In the United States, we promote conflicting and constraining ideas about women’s bodies as heterosexually titillating or maternal—and which never really belong to them. We show breasts when they are represented as for men, but mothers should hide their breasts by investing in shawls or nursing in dirty public restrooms. On the verge of tears, I stood in a dark humid bathroom stall of the Atlanta airport. My pump hung from a small hook on the stall door, drooped open while I stood there pumping into the toilet. There was no way I could get a clean catch in the bacteria filled lavatory. I snapped a blurry selfie with my iPhone and sent the photo along with an expletive filled text to my husband, expressing my frustration with living in an androcentric society built “by men, for men.” The absence of spaces dedicated to traveling families and nursing mothers does not make the airport gender neutral. On the contrary, by not accommodating nursing and pumping mothers, we push them into the recesses of public spaces and contain their bodies in the home. We imply that public spaces are not meant for them and consequently normalize and privilege adult male bodies. At the same time, demanding that women breastfeed marginalizes their physical, emotional, and psychological struggles with motherhood. It also ignores the multifaceted character of women’s lives, which creates pressure to succeed at both home and work. 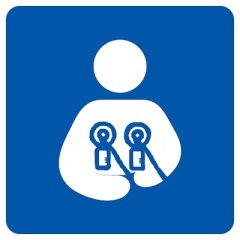 Should airports have lactation rooms? Absolutely. So should universities, workplaces, and other public and private spaces. Sometimes all it takes is a clean room, a cozy chair, an electrical outlet, and a mini-fridge. Of course this requires shifting ideologies around women’s bodies and who has a right to be comfortable in social spaces. Lactation rooms don’t make Supermom an attainable ideal and do not excuse people who pressure women about breastfeeding. But they do signal to women and their families that this world is built for them, too. Of course, what might also help is conceptualizing women’s bodies beyond a binary in which they are either exposed heterosexual objects or hidden maternal nurturers. But that’s for another post. Excellent article, Kristen. Even the State Fair in 82 had a place for me to go to nurse Tommy! Yes! Beautifully written, and necessary. I went through similar experiences, but often breastfed and pumped in public, barely covered, but smilingly explaining what I'm doing without apologizing. Why apologize for the contradictions and constraints we're forced to experience? Well done Kristen. Important points. I read this while pumping btw!